The five-day holiday shopping bonanza is nearly upon us. It is the “official” start to holiday shopping that sets the tone for retail success for the rest of the season. The entire business is feeling the pressure, especially the IT and digital departments, which are becoming increasingly responsible for ensuring retailers are prepared with the right technology ahead of the big day. And with good reason. 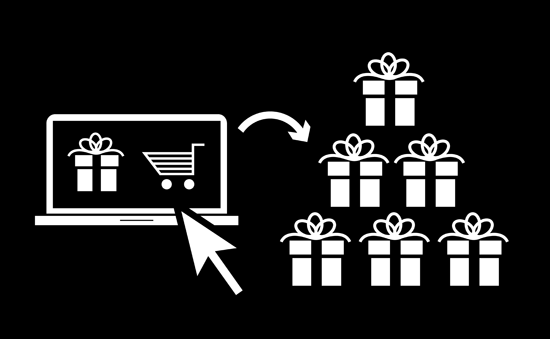 According to Forrester Research, U.S. online spending will hit $89 billion this holiday season. Clearly, this is an opportunity retailers cannot afford to miss. To ensure your Web operations meet your customers’ demands during the holiday season and beyond, follow these five site readiness tips. Site testing should be nothing new to anyone; it’s obviously an important component to delivering a great online experience. But one area that can be overlooked is testing every element of the customer’s buying journey, from research through to purchase, across every touchpoint. The shopping journey has changed and transcends devices; make sure the tests match real-world usage and not singular channels. Misstated promotions can also cause many irate consumers. Be sure to test all Q4 promotions to ensure discounts calculate correctly both in the cart and where they’re advertised, such as on the home page, category page and product detail page (PDP). A final point, consider using a site preview functionality to ensure the promotions operate during the appropriate dates and times. 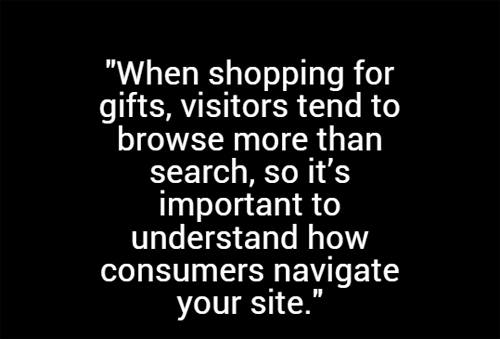 When shopping for gifts, visitors tend to browse more than search, so it’s important to understand how consumers navigate your site. With this insight, evaluate how easy it is for them to find the products they’re searching for. This may require testing your search refinements every step of the way to ensure shoppers can effectively narrow down results to find the perfect gift. Changing your sorting rules to push gift items to the top of grid pages can be an effective strategy. Additionally, optimize your product detail pages during this process to help close the sale. Be sure all promotions are displayed and decision-making criteria—such as warranty, key product details, size and color—are listed above the fold. Check images and pricing for accuracy and clarity. Remember: the customer experience at the checkout has the potential to make or break the sale. Make it as easy as possible for your customers to make a purchase decision. Put delivery date options right on the product detail pages, or offer a delivery date calculator based on the shipping zip code. These options should also be presented on the cart page. Also consider offering your customers the opportunity to enter multiple gift addresses through a single transaction. This gives your customers an easy way to send out the same great gift to multiple people, and may actually encourage your customers to spend a little more. And if you are out of stock in one location, provide your customer with information on other store locations where that product may still be available, or offer suggestions on what else to buy. Don’t lose the sale. Don’t leave your customer service folks in the lurch! Make sure the team is prepared for any questions that might come up, including familiarizing themselves with site navigation and online shopping process. They should also be in the loop as it relates to what promotions will be running, what products you will be merchandising and if there may be any out-of-stock concerns far in advance. You are all one selling team, so organize well to execute superbly. While you may only have days left, following these tips can help you capture more revenue during the holiday season. Just remember to keep your customers’ experience at the center of everything you do – at the end of the day, their online shopping experience can make or break the sale.